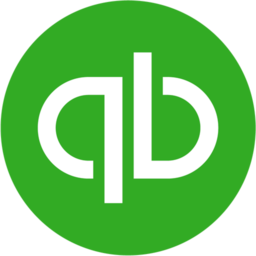 The rule list manager is found on the QuickBooks Dashboard tab. The rules for the chosen transaction type are displayed in the table. There are 3 transaction types: "Payment" when your address receives Bitcoin; "Send" when your address sends Bitcoin; and "Transfer" when Bitcoin is sent between multiple addresses you own. For each Bitcoin transaction, Blockpath decides which rule to apply by testing the triggers for the top-most rule first. If the transaction does not satisfy the rule's trigger, the next rule down is tested. The default rule will be always be triggered if the preview rules do not trigger. So, rules lower than the default will never be triggered automatically. To have your custom rule able to be automatically applied, they must be above the default rule. To change rule priority, click and drag the blue arrows on the left side of the rule and place the rule higher/lower in the list. Placing rules below the default can be useful if you want use the rule manually from the transaction page. Create a new rule with the "+ Create New Rule" button, or edit an existing rule by clicking on it. The "Name" field will be used as the name of the tags attached to transactions that use this rule. The "Triggers" section lists the possible criteria that can activate a rule. The transaction must satisfy all of the triggers to activate a rule. The "address" trigger itself will be satisfied if ANY of the addresses are found. For example in the picture above, the first rule will be used if the value received is greater than 1 BTC, AND the Bitcoin is sent to EITHER the "1LTVYhbpu..." OR "1JDDKeqHD..." address. The "Actions" section shows the options for actions to be taken once the rule is used. In the example above, the first rule creates a Sales Receipt from the customer "AdNetwork". For Payments, the "Customer" dropdown menu will be auto-populated by all customers in your QuickBooks that have Bitcoin (BTC) selected as their payment currency. To add your own customer here, manually create the customer in QuickBooks, select Bitcoin as their currency, and re-open the rule editing window to see the customer in the dropdown. By utilizing Blockpath's rule system, you can automate even more of the accounting process so you can continue to focus on higher value activities. We add new options for triggers/actions based on feedback from users like you. If you would like new options for your use-case, please send us a quick message from the feedback form on the QuickBooks Dashboard tab, or in the comment section below. A place to discuss Blockpath's QuickBooks Online Cryptocurrency App. Feel free to ask questions, make suggestions, and give feedback here. π Rendered by PID 26312 on ip-10-0-0-43 at 2019-04-22 12:29:00.159513+00:00 running f838d3f .